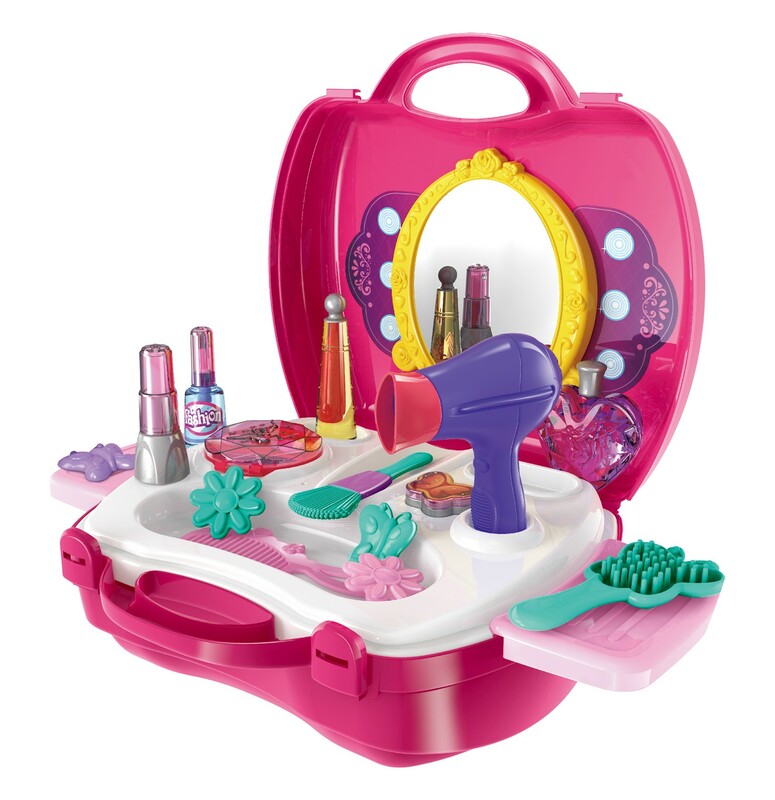 Master Box Dimension : 20" X 16" X 21"
Pretend Play Makeup Set allows your little girl to become a princess! 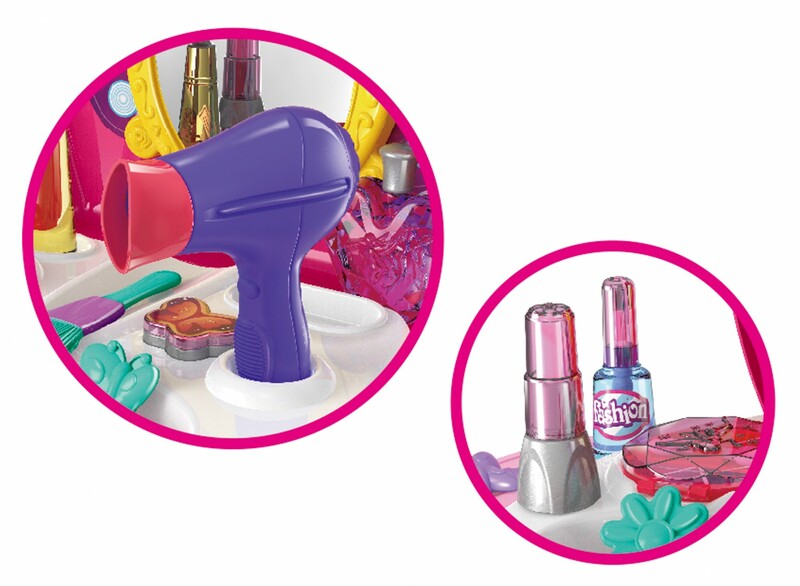 This pretend play allows them to immerse themselves with many different pieces of salon toys. 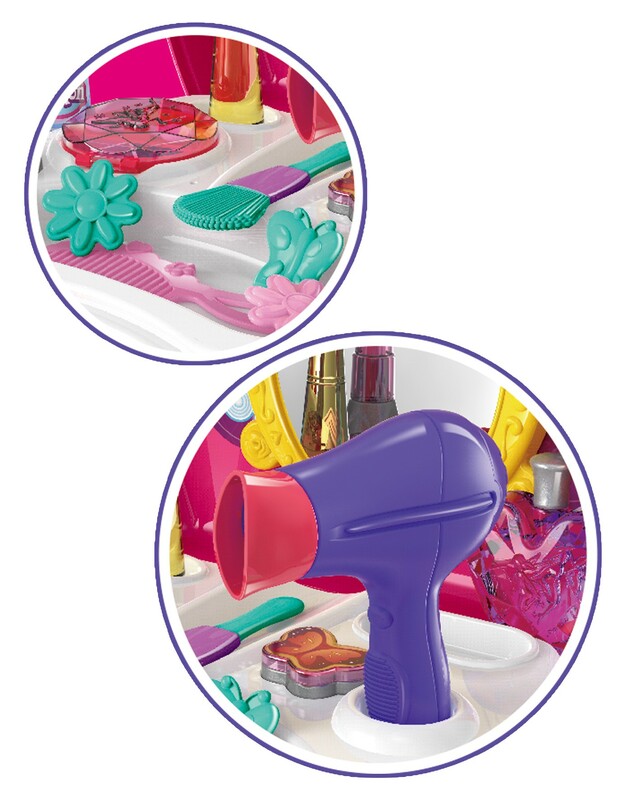 Each and every piece is made with high quality plastic and smooth edges in order to ensure safety for your kids! Each and every piece is extremely durable as well as detailed!